Just when you thought you had a handle on Brickellreal estate, another Brickell development is announced. Brickell Flatiron is the latest Brickell masterpiece in the works for one of the most fashionable neighborhoods in Miami. The building specs showcase a beautiful piece of architecture with what the architecture world calls “curvilinear” lines that resonate with swells of water on Biscayne Bay. 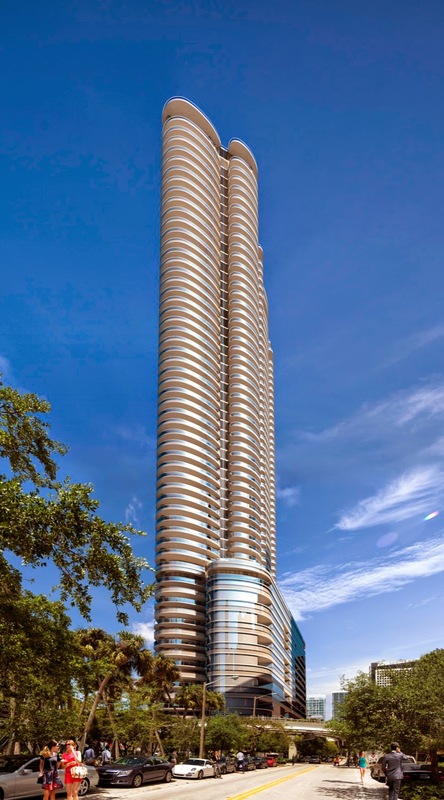 With the ground-breaking planned for the end of this year, the plans show that this spectacular tower is very tall at 750 feet high with 65 floors and over 500 units – one, two and three bedrooms along with penthouses. In addition to residential accommodations, Brickell Flatiron also plans for about 40,000 square feet of retail development on the lower level. Completion should be some time in the spring 2016. Located at 1000 SE 1st Avenue, the Brickell Flatiron site is situated in the best spot that is within walking distance to everything in Brickell including Mary Brickell Village and the shops and cafes that dot Brickell. Most importantly, it is only one block from the new Brickell City Centre. Just one block off Biscayne Bay, the site is just a block from the bridge to Brickell Key. Bringing Brickell Flatiron to life is a group of people who have designed and built some of Miami’s well-known properties. Ugo Colombo, the developer of Brickell Flatiron, is one of Miami’s most recognized developers known for other Miami properties including the Bristol Tower and Santa Maria both located on Brickell Avenue as well as South Beach hotels, Waldorf and Casa Grande. As for the architecture, Luis Revuelta is the brains behind the unique flowing design. 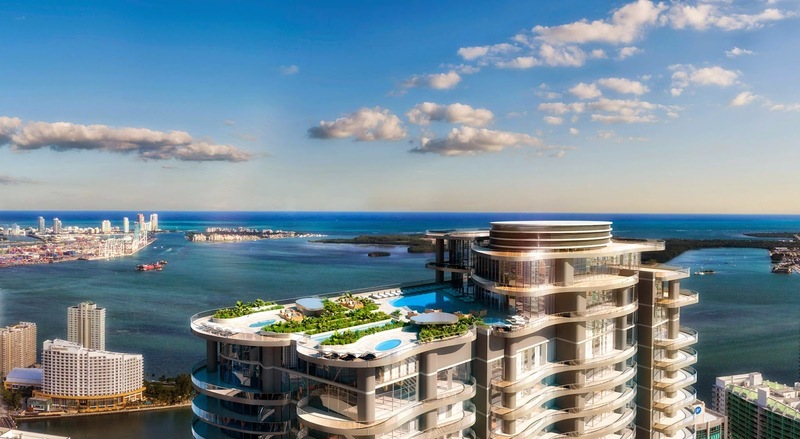 His firm, Revuelta Architecture International, has designed well known Miami properties including EPIC Residences & Hotel, Bristol Tower, the Santa Maria, Jade and more. Acclaimed artist, Julian Schnabel has been tapped as the Designer of Interior Spaces. This means he will create the plans for the lobby and common areas with his bold attitude and design. Where do we start? There will be so much for residents to enjoy and make life a vacation all year long. Most importantly, the plans call for amazing community amenities that include two pools – one on a lower level amenity deck and the other on the rooftop – as well as a state-of-the-art business center with conference rooms, a children’s play area and game room, exclusive residents-only movie theater, electronic access controlled building entry points for residents with 24-hour video surveillance and recording, WI-FI throughout the building, 24 hour valet, additional individual residence storage, six super-high speed elevators with destination control, and more. Inside each residence, there will be high end features including a gourmet kitchen with Italian custom-designed and fully accessorized Snaidero kitchen cabinetry, stainless steel back splash and stone counter tops, and top of the line stainless steel appliances. Other features include expansive floor plans with 9’6” ceilings in tower residences and 10’6” ceilings in penthouses, floor to ceiling sliding glass balcony doors and energy-efficient, casement windows, deep private balconies with Brickell and Bay views, and more. It is also worth mentioning the technology planned for the building. 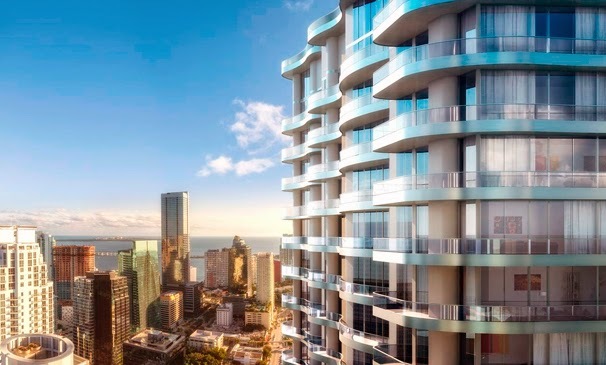 Each residence will have private wireless networks, a keyless entry through a smart lock system, and a state of the art “Brickell Flatiron Link” which is a digital concierge service available to all residences via tablet, PC or smartphone. The plans show about 550 units are projected for the building. Sizes range between about 735 square feet for a tower residence to almost 2,600 square feet for a penthouse residence. Potential buyers may choose from one, two and three bedroom units. In terms of list prices, one-bedroom units start at about $470 per square foot with two-bedrooms slightly higher at about $480 per square foot and three-bedrooms at just under $600 per square foot. The top floors will house two and three-bedroom penthouse residences that feature list prices starting at about $750 per square foot. With Brickell Flatiron in the works, one thing is very evident -- Brickell real estate is ever expanding. This property is well worth consideration and a must see. Keep checking back with us as Brickell Flatiron plans continue to unfold and new developments are announced.